The authors also added that ideally the biomarker would be validated in “neuropathologically proven” cases of Parkinson’s, and they cited the high rate (10-15%) of re-diagnosis upon postmortem examination of the brain (Click here to read a previous SoPD post about this). In addition, their wish list for biomarkers included that the utility of the biomarker should be simple and cheap. It all seems simple enough. And if we find some biomarkers for Parkinson’s, what exactly will they be able to tell us? 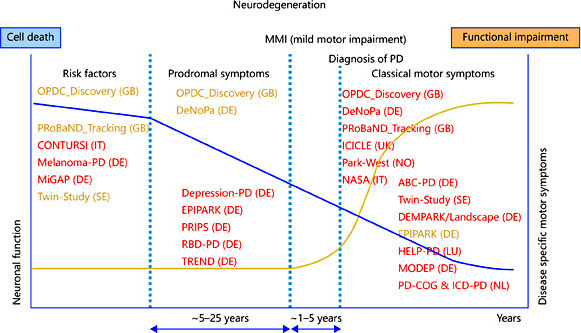 The authors stress the importance of enriching and stratifying different trajectories of Parkinson’s – similar to what we recently discussed in a previous post on this topic. That post focused on a manuscript that used a huge data set to identify three potential subtypes of Parkinson’s (Click here to read that post). A better understanding of these potential subtypes of Parkinson’s and their particular course could have major implications for our understanding of Parkinson’s, but also for the treatment of the condition. Why do we think there are subtypes of Parkinson’s? If you wander along to your local Parkinson’s support group, one of the first things you will notice in the gathering is the variety of symptoms. Some folks are tremor-dominant, while others are plagued by rigidity. Some have very slow progression, while others have a very rapid course. One of the issues we have with Parkinson’s at the moment is that we are dealing with a very heterogeneous condition – that is, lots of people with different types of Parkinson’s all bunched into one big group. And the consequences of this could be serious: we may be conducting clinical trials for new drugs that may only work on one subpopulation of people in the Parkinson’s community, but given that they make up only a fraction of the overall cohort in a particular clinical trial, the drug inevitably fails. And we know that there is some truth to this already from recent clinical trials – for example, follow up analysis of the results from the exenatide clinical trial results from last year suggests that people with recently diagnosed, tremor-dominant Parkinson’s responded better to the drug than others in the study (these are recently published results – expect a SoPD post on them shortly – until then, click here to learn more about those results). Thus, a better understanding of subtypes of Parkinson’s and the course those subtypes take (via the use of biomarkers) would be of tremendous value. Interesting. What else did the perspective say? Next the perspective looked at the “ecosystem” of specimen biorepositories and shared data that has started to emerge recently. Quite simply, a biorepository is a facility that collects, processes, stores, and distributes biospecimens (such as blood, urine, tissue biopsy, etc) to support future scientific investigation. Why collect biospecimens from people with Parkinson’s? But it has become apparent that clinical information can only tell us so much about each individual (and the population as a whole). And this is where the analysis of biological specimens from individuals affected by Parkinson’s becomes important in the search for biomarkers. Research groups around the world are requesting samples from biorepositories so that they can analyse them for anything that could help to better assess and monitor Parkinson’s. And over the last 5 years, the research community (with help from the affected community!) has built up some considerable biorepository resources which the authors of the perspective listed. Since 2012, the National Institute for Neurological Disorders and Stroke (NINDS) h\as collected biological samples every 6 months from over 1000 individuals (more than 600 of whom have Parkinson’s) from different research centers across the US. The samples collected include DNA, RNA, and bodily fluids, and brain imaging data also exists for a portion of the Parkinson’s affected individuals. And there are also genetic cohorts (individuals with and without Parkinson’s who have confirmed genetic mutations in a Parkinson’s associated gene, such as LRRK2 or GBA). 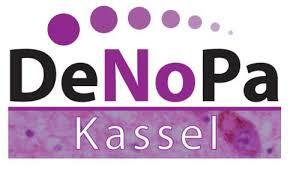 Based out of a single research center in Germany, the DeNoPa study is following and collecting biological samples from 159 people with Parkinson’s and 110 matched controls. This study collects blood, feces, and saliva, and most of the participants have entered the study at an earlier stage in the course of Parkinson’s (drug-naïve and less than 2 years since diagnosis at enrollment) than most of the participants in the PDBP and BioFIND studies. Between 1st November 1st 2004 and 31st of August 2006, researchers in the south west region of Norway sought to recruit every new case of Parkinson’s within the study area. Since starting they have followed 212 of 265 (80 %) of these patients and matched them with a control group. A very comprehensive follow up process (including brain imaging) and collection of biosamples makes this a very rich data set. Since 2007, this biorepository has collected samples longitudinally from more than 2500 individuals, of which more than 700 individuals early (drug-naïve and treated) Parkinson’s. Multiple specimens have been collected from each subject at each time point – these specimens including blood, microRNA, RNA, and DNA. Cell lines have been generated and cerebrospinal fluid has also been collected from a subset of participants. 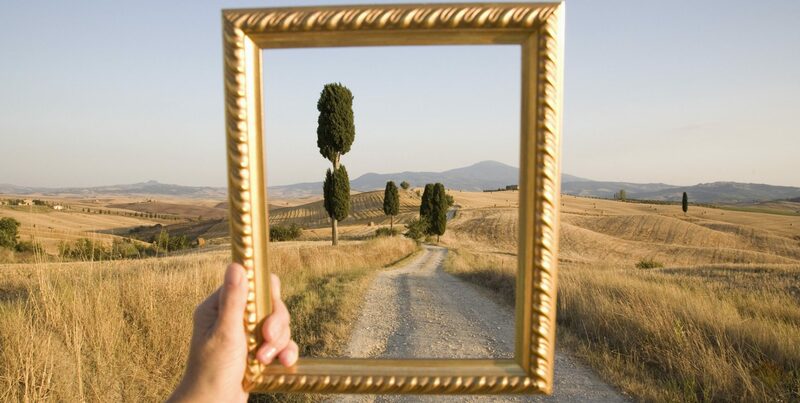 This study aims to screen over 15,000 individuals (including PD relatives and non-relatives). The specific goal of this study is to “evaluate specific tests to see if we can detect whether the testing can detect early signs that may be predictive of an increased risk for Parkinson”. This involves assessment and biosample collects from people possibly in the prodromal phase of Parkinson’s – that is, the period between the appearance of initial symptoms and diagnosis. This study has collected DNA and biofluids from many of the participants, and conducted DaTscan brain imaging analysis on some. How do we qualify a biomarker? The approach used thus far has focused on large scale analysis – this involves large groups of people with & without Parkinson’s. One systematic review of all the published reports examining the use of different forms of alpha synuclein as a potential biomarker for Parkinson’s found that 84% of those studies used data collected from sample sizes of less than 100 people (click here to read more about this). Such samples have very little statistical power, meaning that the sample is so small that little can be concluded from any of the findings (some of the findings may simply be due to chance). If there are multiple subtypes of Parkinson’s in a sample of 50 people being analysed, precious biomarkers may be lost in the ‘noise’ of the data. In a larger sample of 500-1000 people, those biomarkers could be more easily identified (similar to the approach taken with the large studies investigating the genetics of Parkinson’s – click here for a recent SoPD post on this topic). Thus, the need for large scale analysis. Replication and validation are two addition components of qualifying a biomarker. Does a biomarker found in one study, also pop up in the data of another study? 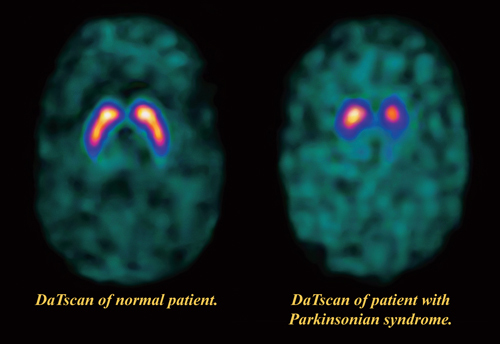 The more often this occurs the stronger the argument for a particular biomarker of Parkinson’s. What if we do not find any biomarkers? This is a valid question. One that was not asked in the perspective. But it is a hypothetical possibility. Perhaps there is simply too much variability between individuals in the Parkinson’s community, or perhaps there are many subtypes of Parkinson’s that can not be clearly defined by single or particular combinations of biomarkers. Biomarkers could be affected by the way the collected specimens are being stored. For example, while DNA is very stable when frozen, RNA can not go through too many cycles of freeze-thawing before it is corrupted. Similarly serum from blood can not be stored for too long before things like endotoxin start to be affected, which could ultimately affect any analysis on those samples. If I may offer a rare opinion – I think we will find biomarkers. I’ll be honest: this is a hard ask. So is all of this money being wasted on biorepositories? No, no! Not at all. Quite the opposite actually. Regardless of whether any biomarkers are found (and again, I think there will be biomarkers found), these facilities provide an amazing resource for the research community and they are already aiding in the hunt for better therapies (forget about biomarkers!). From the generation of patient-specific induced pluripotent stem cells to DNA sequencing, the biosamples that have been collected are providing new findings/data/discoveries, and changing the way that the research is actually being done – encouraging a more open and information sharing environment. And consider the implications, if we find even just one ideal biomarker for Parkinson’s. Imagine what it will tell us about the biology of this condition. If we identify a biomarker that is shared between affected individuals, and changes over time with the condition – we could learn a great deal about the biology underlying Parkinson’s. And if the biomarker is amenable to treatment? Well, that could validate our understanding of the biology, and help to steer us towards brighter days. Like all of the other neurodegenerative conditions (Alzheimer’s, Huntington’s, multiple sclerosis, etc), we desperately need biomarkers to help us with the diagnosis and assessment of Parkinson’s. This is particularly important from the issue of clinically trialling new novel treatments for the condition. Without new biomarkers, we are left with the clinical rating scales and brain imaging tools that we have previously used. The ideal biomarker for a condition like Parkinson’s will be difficult to find, but in finding it we will hopefully learn a great deal about the biology of the condition itself. And that in itself is worth the investment that has been made in these biorepositories. A really thoughtful piece. I would really like to read the oriinal article but I cannnot get access to it. Thanks for your comment. Yes, it’s a shame the report isn’t open access.